Home Blog It's Never Too Early to Stock up on Party Essentials! Yes, we know it might only be April, but that gives us just 6 months til Halloween 2018, that means we’re half way there! So why not get ahead of the crowds and start and buy in your Halloween party essentials early? We think it’s never too early to get organised for the next celebrations so why not make spring time your Halloween stock up time?! 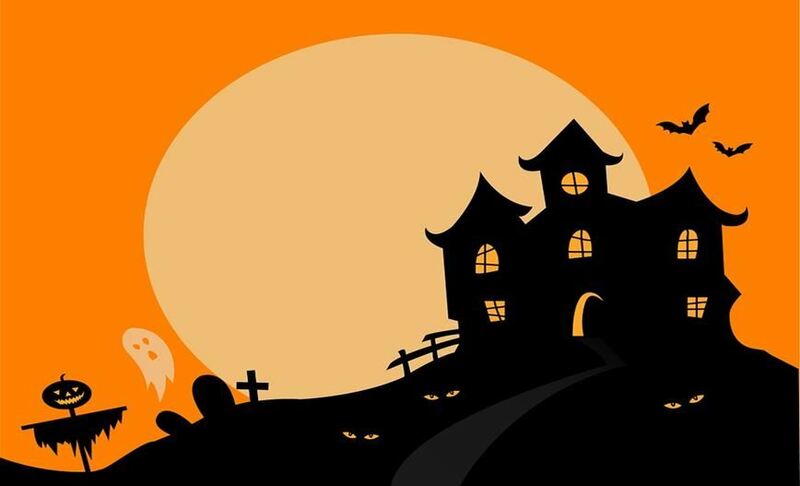 Here at Halloween Horror Shop we have a fantastic range of quality Halloween products, from Lights to Inflatables, and from Props to Fancy Dress Accessories. In this blog we look at some of the fantastic essentials perfect for buying in now. Our Halloween Party Cups and Plates will make your kids Halloween party this year! We love the funky bright designs and are great value so you can afford to buy multiple packs so there are plenty to go around! Keep those snacks and drinks flowing! More great decorations to complete your Halloween party include our 24 Pack Party Balloons and 6m Fright Tape, ideal for kids and adults alike! These hassle free decorations are perfect if you’re looking for an easy solution that will instantly create a fun, spooky atmosphere! Light up your Halloween this year with our fantastic Halloween Lights from our Halloween Horror Shop website. Keep that spooky atmosphere going right when the sun goes down with great LED string lights like our 35 Red Lights or to cover more space, our 200 White Lights. These lights are perfect to match all décor schemes and spooky themes. Made for indoor use, these colours are great for Halloween themes, giving you an eerie background that will help to showcase the rest of your impressive decorations! Don’t forget to light up the outside of your house too! These White and Red spotlights are perfect for illuminating outdoor features and scary focal points, such as a Prop or Halloween Inflatables. Give guests a scary as they approach your home this Halloween, and make it a Halloween to remember! Turn your home into a classic haunted house display with traditional decorations such as our Spooky Hanging Skeleton or our creepy 3 Tier Candelabra. Whatever type of decorations are going to feature on your spooky home this year, we find our decorations like these are a fantastic, classic addition. For something a touch more gory, why not trim a room with our Dripping Blood Border, again perfect to match all kinds of décor schemes, keeping your freaky atmosphere going. Spooky Cobwebs with Spiders are another hassle free way of transforming your home into a haunted wonderland! Decorations such as our blood and spiders are bound to be a real hit when looking to give your family, friends and trick or treaters a scare this Halloween! We might be a while off yet but perhaps you’re figuring out this year’s killer costume? Blood and face paint are going to be the main component of any freaky look, whether it be for children, teens or adults, so why not stock up on makeup essentials such as our Makeup and Fake Blood Kit. And an essential for the kids too, don’t forget to kit them out ready for trick or treating! Our cute Pumpkin Bucket is ideal for decorative purposes of for collecting sweet treats too! Stock up now and get organised early this year, and at just 99p you can afford to treat all the kids and perhaps their friends too! Here we’ve looked at just a few great products we have on our Halloween Horror Shop website that's open all year round. Head over to our full site to see that amazing range of decorations on offer, to suit all tastes of budgets, and get yourself organised well in advance this year – no one likes pre-Halloween stress!